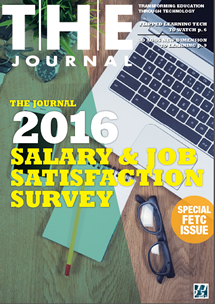 The numbers are in for our first-annual K-12 IT salary survey. While budgeting frustrations hamper much of IT's work, there's also a sense that the work they're undertaking is important. New enhancements to 3D instruction create a more immersive, interactive experience. The top-6 technologies that are either under development or already in use in the flipped learning environment, as seen by our education professionals. The program helps students develop real-world skills in their chosen field and helps put their classroom learning into context.